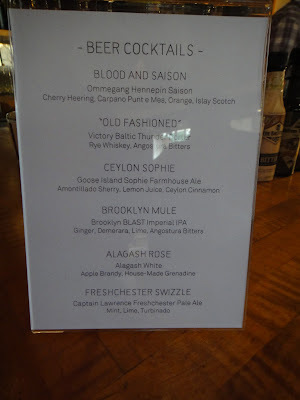 Of the four drinks, the Blood and Saison was my favorite. 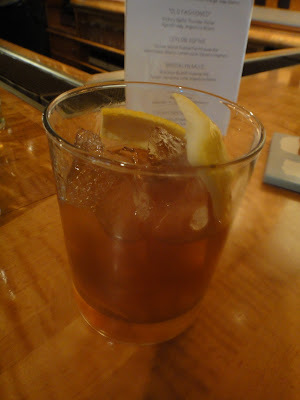 Like the 'Old Fashioned', it reminded of the base drink but with a lighter hand. The flavors were all there, but much less scotch forward than a Blood and Sand. In fact, there was a strong smoky aroma from the scotch, but only a subtle flavor. Very well composed. 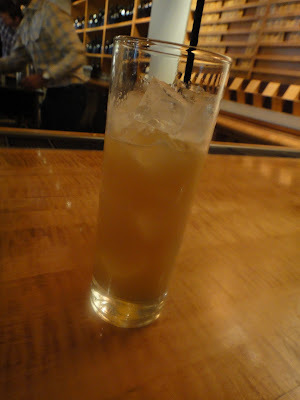 I was paying too much attention to my sip of this drink to mentally note much about the Alagash Rose, but we all enjoyed it. 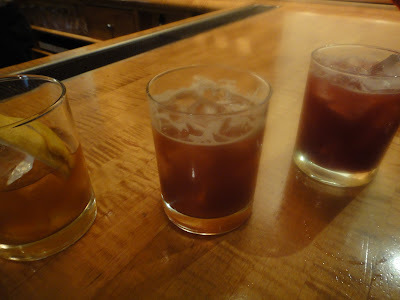 I had intended to go back and try the Ceylon Sophie, but the bar was packed and there were so many other things to try I never made it back to the bar. This was in no small part due to my friend turning my on to the Goose Island Sophie Farmhouse Ale, an ingredient in the Ceylon Sophie, and conveniently being poured outside where we spent the last part of the bash listening to The Crooners and drinking said ale.